Living a Fit and Full Life: Celebrate Olaf's Frozen Adventure & Coco with townleygirl! + Giveaway! Celebrate Olaf's Frozen Adventure & Coco with townleygirl! + Giveaway! Who's up for some wintry wonder? 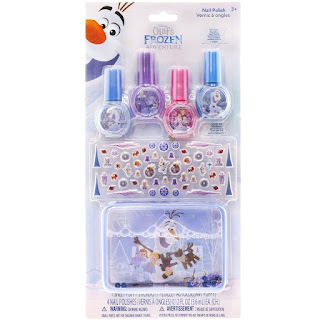 She'll get it with this Olaf's Frozen Adventure Beautiful Nails Set. Three non-toxic, peelable shades of polish will be at her disposal, and she can decorate her nails with tons of gems. Also included is a cute nail file and nail stick, to prime her nails for perfection! If she wants to be as festive as the holiday season, this manicure set is the perfect gift. 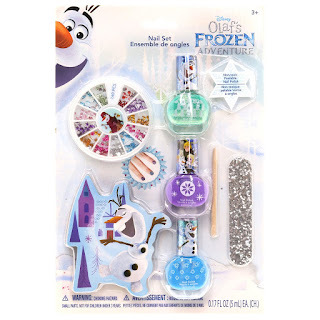 The package includes four of today’s most popular nail colors and a selection of Olaf-inspired nail stickers to make her manicure even more fun! Press and dress her nails to perfection! 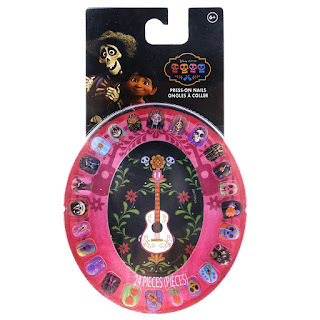 With this assortment of crazy and colorful Coco press-on nails, she can express her love for the popular film all day long. 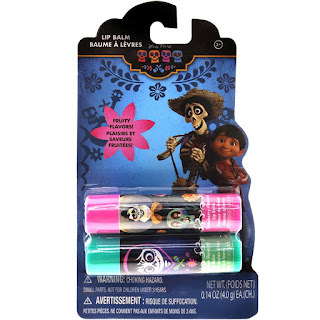 Your Coco lover will adore these Coco-inspired lip balms. Fruity flavored and fun, moisturizing lips was never so easy or fun! Let the power of music decorate the air-- and her hair! 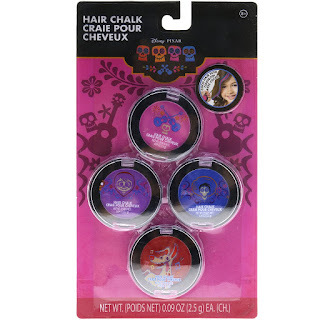 Inspired by Coco, these hair chalks will get her creative senses tingling, so she can create the perfect hairdo. Celebrate Olaf's Frozen Adventure & Coco with townleygirl! As the mom of three girls, I can honestly say townleygirl items are always a favorite in our house. My kids are also super excited for Olaf's Frozen Adventure and Coco and cannot wait to watch them. We've been down with a bug for a bit so when these items arrived, I figured they'd be the perfect way to cheer my girls up. They were super excited and quickly got to work doing each other's hair, makeup and nails. It's always such a fun sight to see my girls getting along and doing girly things that I'm sure they'll be doing much more of in the future. 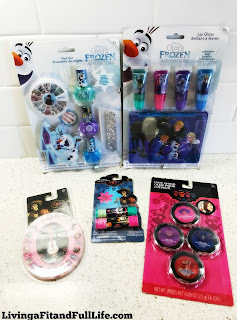 Olaf's Frozen Adventure & Coco items from townleygirl also make perfect stocking stuffers and will surely be a favorite in your house too!